All the registered e-rickshaw owners whose subsidy claims are pending are now required to submit the photo copies of their Aadhaar card and registration certificate at the office of concerned motor licensing officers (MLO) by June 30. Delhi government has notified making Aadhaar details compulsory for those seeking subsidy on e-rickshaws. New Delhi: The Delhi government has notified making Aadhaar card details compulsory for those seeking subsidy on e-rickshaws registered in the city, in order to "prevent duplicacy" in grant of the financial assistance. The registered owners of e-rickshaws in Delhi will be considered for a subsidy of Rs 30,000 after providing their Aadhaar card details, said a notice issued by the government. 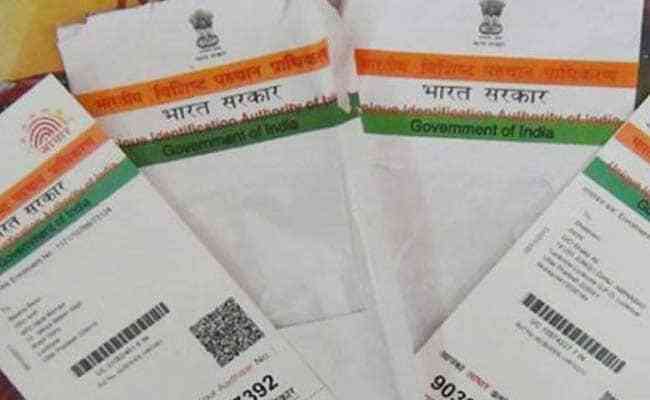 The claims of subsidy will not be considered if the Aadhaar card and registration certificate copies are not submitted by the due date, the notice mentioned. As per latest figures, there are over 31,000 registered e-rickshaws in the city. The subsidy scheme was launched by Chief Minister Arvind Kejriwal in a rally of e-rickshaw drivers in February last year. Delhi government in its current financial year budget has earmarked Rs 1.06 crore for providing subsidy to e-rickshaw owners. The scheme had failed to take off since its launch due to duplicity of claimants furnishing varying documents for seeking the subsidy and only around 3,000 e-rickshaw owners have so far availed the financial assistance. Delhi Pollution Control Committee (DPCC) has streamlined the process of registration and grant of subsidy to e rickshaws and avoid duplicacy, by making Aadhaar card details mandatory. In the case of already registered e-rickshaws, the concerned MLOs will obtain Aadhaar card number from the beneficiaries before reimbursements of subsidy, the committee said in its directive.